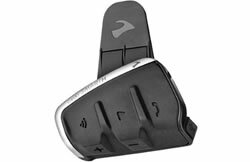 Cardo Scala Rider headsets provide wireless intercom capabilities and Bluetooth connection to your motorcycle sat nav, and are compatible with ALL Garmin zumo or TomTom Rider models that we currently sell. 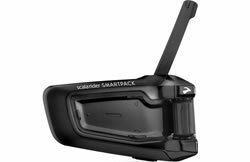 You can also connect your smartphone wirelessly to the scala rider headset to create a conversation when out of range of the the Cardo intercom. 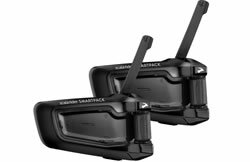 Some models like the PACKTALK Duo models also come complete with twin headsets meaning you can use either with a pasenger or with another motorcyclist anything up to 15 riders using intercoms and upto 8km away. 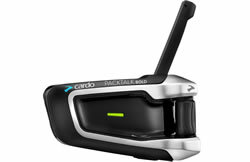 All Cardo scala rider headsets are waterproof and dustproof. 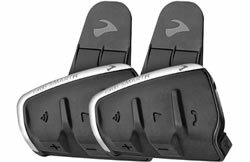 For further help on deciding the best Cardo Scala Rider headset to buy, please telephone 01733 777623 (Mon-Fri 9:30am-5pm) outside of these hours please e-mail us. 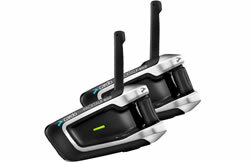 Discontinued Cardo scala rider headsets include the Scala Rider TeamSet PRO, Scala Rider Q2 PRO, Scala Rider G4, Scala Rider G4 PowerSet and Cardo Scala Rider G9X Power Set.